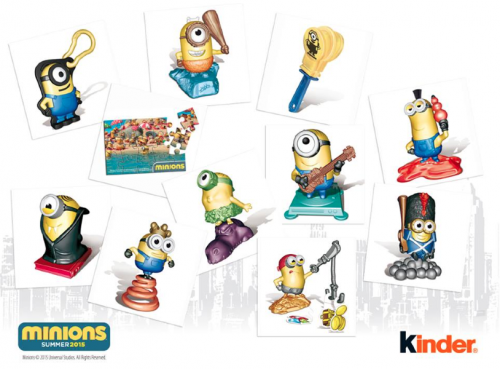 Flash Giveaway: Kinder Surprise Minions! I have a bloggy confession to make. I have never actually seen any of the Despicable Me movies, although the kids have seen them all. And yet, of course I know all about the Minions, because you’d have to be living completely off the grid to miss the Minion memes. There are tumblers, dedicated Facebook pages, and of course, a Minion Meme generator. Speaking of generating memes, here’s a fun way to bring a little old school fun to a 21st century meme: how about making your own minion? Have you ever noticed that the inner capsule of a KINDER® Surprise Egg is like a minion waiting to happen? 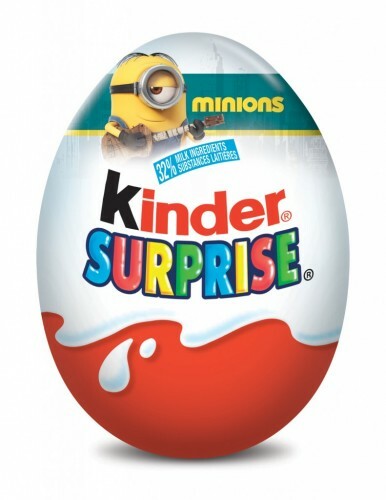 To celebrate the pending release of the Minions movie this July, you’ll soon be able to find a whole line of Minions toys in specially marked KINDER® Surprise Eggs. Fun, right? There are 11 Minion toys to collect, for a limited time only. And for you, my funny bloggy peeps, here’s a chance to win a $40 KINDER® Sur-prize pack, with a chance to find the ENTIRE Minions collection. This giveaway is for a KINDER® Surprise prize package.The approximate prize value is $40. To enter the giveaway, two steps are required. Please use the widget below and (a) visit the KINDER® Facebook page and (b) leave a comment on this blog post answering this simple question: bananas or apples? This giveaway will run until 11:59 pm EDT on Tuesday May 26, 2015. Both, what a great mix apples & bananas! Apples! Apples! Apples! We just discovered this variety called Red Prince from Prince Edward County. They are “cellared” to improve their flavour. Definitely one of our favourites! Apples, even better if you pick them just before they are officially ripe. Nice and crunchy and sour. Previous post: Photo of the day: The days are long, but the years are short. Next post: Photo of the day: More crab apple blossoms!